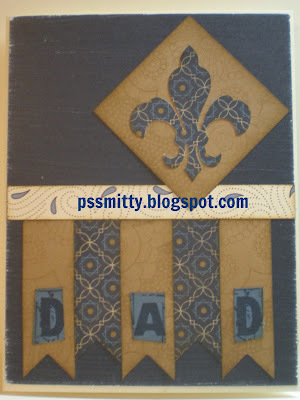 pssmitty papercrafts: Father's Day & your Cricut! Father's Day & your Cricut! 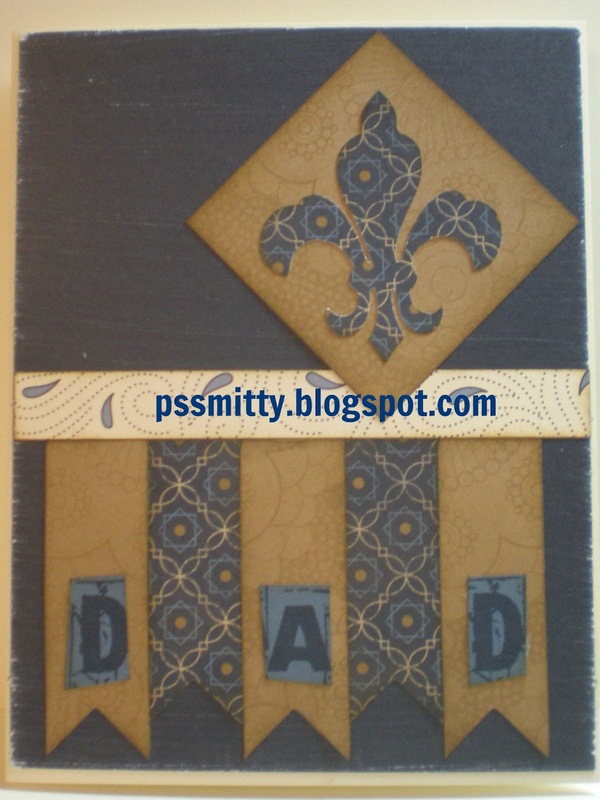 All you need to create this card is some paper from the Pemberley Paper Pack and your Close to My Heart Exclusive Cricut Art Philosophy cartridge for cutting the banners and the Fleur de lis.The Outdoor Denim background has been cut to fit the card front and lightly sanded for texture. All of the shapes have been sponged with Desert Sand ink.The center strip is one of the zip strips! I love using these! If I didn't have to mail this card I would add some Mocha Pearls to the Fleur de lis, lucky for me my dad isn't a fancy guy! Very nice card! The Pemberley paper is a great choice for Father's Day. Thanks for sharing with us at H2H! Love those banners and the cut out shape! Thanks for sharing with us at Heart2Heart Challenges this week!